Another one of the offerings from the three Wiseman, along with Frankincense; Myrrh is a very aromatic essential oil with a warm and almost smoky fragrance. Used since ancient times as a perfume and incense, as well as in paste to treat wounds, this essential oil still has many uses today. 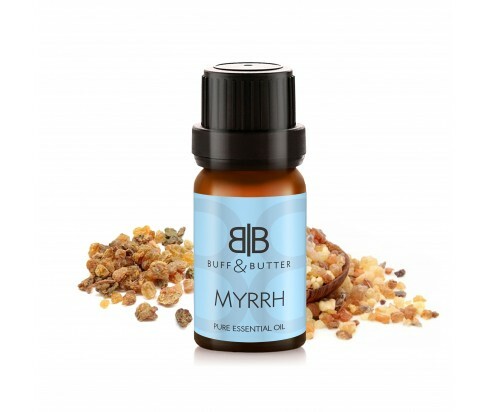 Along with filling the air with a warm, exotic aroma, Myrrh can also be added to a vaporiser or bath to help clear congestion and provide relief from a dry, irritated throat and cough. Added to cream or lotion, this oil’s anti-inflammatory and antiseptic properties can help treat fungal infections, such as athlete’s foot, as well as other skin conditions, like eczema.